To view more information on each of the surgical specialties, please click on the appropriate link below. Core surgical training within Northern Ireland has a reputation for excellence. The Deanery covers a large geographical area serving a population of 1.7 million and provides excellent opportunities to train in all surgical specialties. Training is provided in any one of five Trusts which are comprised of several teaching hospitals and large district general hospitals supported by a number of smaller satellite units. The Core Surgical Training programme recruits into CT1 and offers two year rotations in surgical subspecialties. Trainees rotate on a six monthly basis. The programme currently contains approximately 91 training posts across CT1 & CT2. An additional Clinical Experience year can be considered on an individual basis based on each trainee’s requirements and future career goals. The programme tightly adheres to the ISCP. Trainees are expected to follow the curriculum and gain appropriate competencies in order to progress. Trainees will have an ARCP in May in order to assess their competencies. Trainees are allocated an assigned educational supervisor (AES) and Clinical Supervisor within their Trust who will be responsible for the establishment of a learning agreement and the trainee’s local training opportunities. The AES will report directly to the Programme Director. Trainees are encouraged to undertake a Basic Surgical Skills Course, ATLS and CCrISP course during their training. All these courses are available within the Deanery and trainees should endeavour to undertake local courses where available. In addition, trainees should aim to complete all parts of the MRCS examination during Core Training in order to allow smooth progression into specialist training. A training programme for CST has been established and will involve 7 full days over a one year period. 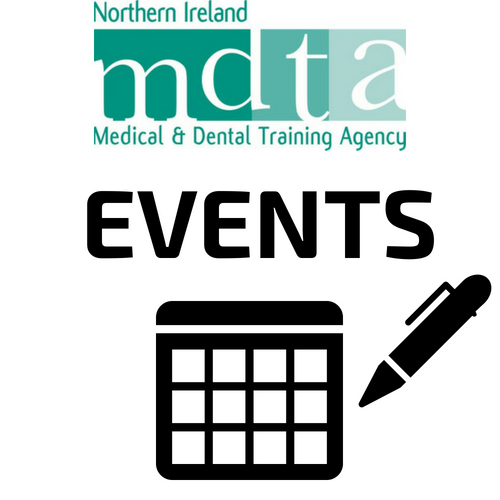 These training days will be based in NIMDTA, Belfast and will follow the core topics set out in the ISCP. Trainees will be expected to be released from their clinical commitments in order to attend these training days. Please click here to view the courses page of the Royal College of Surgeons page. NIMDTA run the Basic Surgical Skills Course and the CCrISP course twice per year. Please click here for more information. General Surgery training provides a wide experience in Abdominal Surgery. SpRs spend most of their training in General Surgical Units, although 1or 2 years may be spent in a Specialist Unit, for example Endocrinology, Upper Gastrointestinal, Coloproctology or Breast Surgery. Further information available on the General Surgery page of the Royal College of Surgeons website. Orthopaedic Surgery Training is provided at the Musgrave Park Hospital, Royal Victoria Hospital, Ulster Hospital and Altnagelvin Hospital. Children’s surgery is performed at the RBHSC. Further information available on the Trauma & Orthopaedic Surgery pages of the Royal College of Surgeons website. 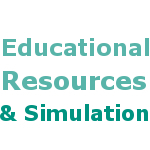 The NI Orthopaedic Core Curriculum Teaching Website is available at http://www.orthoni.org/. Most Specialists in this field continue to provide a general service covering the whole field of ENT diseases, in the teaching hospitals particularly there has been a trend towards subspecialisation. These subspecialties fall into 4 broad groups, Otology and Neurotology, Head and Neck Surgery, Rhinology and Paediatric Otolaryngology. Further information available on the ENT pages of the Royal College of Surgeons. Paediatric Surgery is presently based at RBHSC and the Ulster Hospital. 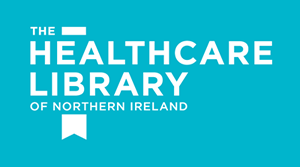 A joint Specialist Registrar training scheme with Dublin has recently been introduced, as posts in NI are part of a wider training scheme for the UK and the Republic of Ireland, as Consultant opportunities in Northern Ireland are limited. Further information available on the Paediatric Surgery page of the Royal College of Surgeons website. The main Plastic Surgery unit is at the Ulster Hospital and there is a close liaison with Maxillofacial Surgery, Oral Surgery and the Fracture Surgeons in that hospital. This is a popular specialty and therefore entry to the SpR grade is highly competitive. Further information available on the Plastic Surgery page of the Royal College of Surgeons website. Further information available on the Urology page of the Royal College of Surgeons website. Thoracic and Cardiovascular Surgery is based in Ward 43 at the Royal Victoria Hospital with some thoracic surgery also being performed at Belfast City Hospital. Trainees are expected to acquire a wide knowledge of Cardiopulmonary Physiology and Critical Care. Some training in this specialty should be taken outside of Northern Ireland. Further information available on the Cardiothoracic Surgery page of the Royal College of Surgeons website. Neurosurgery Training is undertaken at the Neurosurgical Unit at the Royal Victoria Hospital. Further information available on the Neurosurgery page of the Royal College of Surgeons website. A career in Ophthalmology deals primarily with diseases of the eye and visual pathways and also has common ground with Neurology, Neurosurgery, Otolaryngology, Plastic Surgery, Diabetology, Dermatology and Oncology. It provides scope for intellectual and practical skills. It is a demanding specialty and carries a heavy surgical and outpatient workload. View the Royal College of Ophthalmology website. Oral and maxillofacial surgery is the surgical specialty concerned with the diagnosis and treatment of diseases affecting the mouth, jaws, face and neck. Specialists working in this area are known as oral and maxillofacial surgeons. (In some areas oral and maxillofacial surgeons may be referred to as oral and facial surgeons, maxillofacial surgeons or craniomaxillofacial surgeons). The specialty is unique in that it requires dual qualification in medicine and dentistry. Within Europe it is defined under the Medical Directives and therefore one of the UK surgical specilaities. Often seen as the bridge between medicine and dentistry, oral and maxillofacial surgery is the surgical specialty concerned with the diagnosis and treatment of diseases affecting the mouth (oral), jaws (maxillo), face (facial) and neck. It is a separate specialty from Oral Surgery, which is defined under Dental Directives, and is confined to minor surgical procedures carried out within the oral cavity, and which is generally regarded as an ambulatory care specialty. The core of the specialty is management of conditions of the facial skin and bones, oral mucosa and teeth. About half of referrals to OMFS come from dentists and half from doctors. The scope of the specialty is extensive and includes the diagnosis and management of facial injuries, head and neck cancers, salivary gland diseases, facial disproportion and congenital deformity, facial pain, impacted teeth, cysts and tumours of the jaws as well as numerous problems affecting the oral mucosa such as mouth ulcers and infections. Oral and maxillofacial surgeons generally work in teams and frequently work alongside other specialists including ENT surgeons, neurosurgeons, orthodontists, restorative dentists, clinical oncologists and plastic surgeons. Trainees entering the specialty of Oral and Maxillofacial surgery will have either undertaken an undergraduate degree in medicine or dentistry. All trainees will be expected to undertake a period of initial core surgical training. It is expected that core surgical competencies and completion of the MRCS examination of the surgical royal colleges will be achieved prior to entry to ST3. National recruitment for ST3 level higher specialist training is held twice a year. It is a 5 year continuous run through program with an exit Intercollegiate FRCS examination taken towards the end of specialist training. Oral Maxillofacial Surgery in Northern Ireland is run by NIMDTA and is under the School of Surgery. There are two main Oral and Maxillofacial Surgery units, Altnagelvin Hospital in the western trust and the Ulster Hospital in southeastern trust. Trainees will also operate and undertake clinics in the Royal Victoria Hospital and Dental hospital. The trainees rotate annually between the two sites. There is some cross border links with the South of Ireland for peripheral clinics but trainees do not attend these. (Registration with Irish Medical and Dental Council would be required). There are also close links with the west of Scotland oral maxillofacial training scheme for more specialized aspects of the syllabus such as the craniofacial deformity, temporomandibular joint surgery and head and neck oncology. We are not presently recruiting trainees for 2016 but the situation is under annual review.